Avocado Chocolate Mousse is not just a healthy chocolate mousse; it is also one of the best easy dessert recipes you will ever make! Creamy, rich raw chocolate mousse made with avocado is a dairy-free, gluten-free, Paleo, refined-sugar free, vegan dessert that is super simple and tastes impressive! Chocolate mousse seemed like the ideal dessert—it’s romantic, impressive, and makes anyone feel special. It turns out that it’s also probably not the best dessert to make when you are in a hurry and your mixer is broken. If only this easy raw Avocado Chocolate Mousse had been in my life back then! 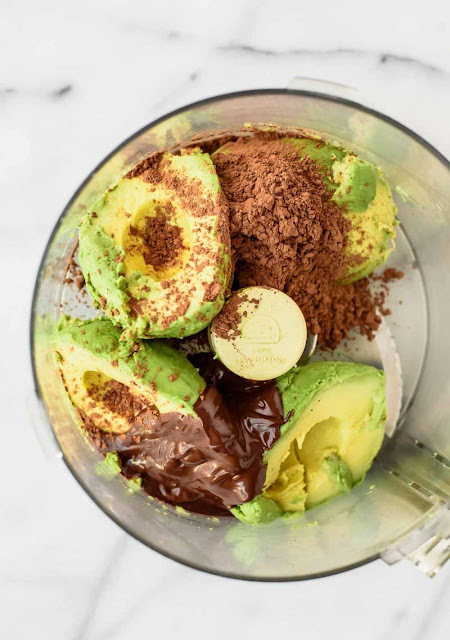 To make this Avocado Chocolate Mousse Paleo and vegan, be sure to use dairy free chocolate and maple syrup for the sweetener. 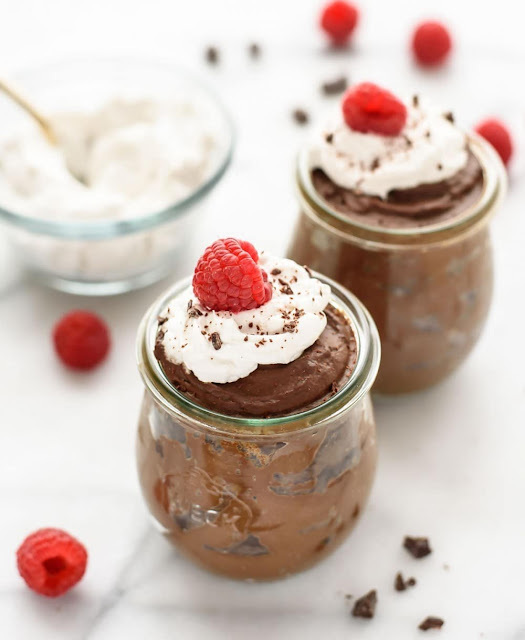 If you are seeking and Avocado Chocolate Mousse keto recipe, I’m not an expert on this diet, so I can’t say for sure if it qualifies, but it does offer some of those great fats that I know are important to keto diet followers. Creamy, rich healthy Avocado Chocolate Mousse made with avocado, dark chocolate, and maple syrup. You can’t taste the avocado! Paleo, vegan and gluten free. Place the chopped chocolate or chocolate chips in a microwave-safe bowl. Microwave in 15-second bursts, stirring between each and watching carefully so that the chocolate does not burn. When the chocolate is almost completely melted, remove it from the microwave and stir until smooth. Set aside and let cool until just barely warm. Halve and pit the avocados, then scoop them into a food processor fitted with a steel blade. Add the melted chocolate, cocoa powder, Almondmilk Cashewmilk blend, vanilla extract, and salt. Blend until very smooth and creamy, stopping to scrape down the bowl as needed. Taste and add a few teaspoons of agave if additional sweetness is desired. Spoon into glasses. Enjoy immediately as a pudding, or for a thicker, mousse-like consistency, refrigerate until well chilled, 2 hours or overnight. Serve topped with raspberries, cream, and chocolate shavings. 0 Response to "Avocado Chocolate Mousse"